There’s nothing more debilitating than a headache in the middle of the work day. It can make your whole day slip away by making it hard to focus and perform simple tasks. Unfortunately, it’s an incredibly common condition. The National Headache Foundation estimates that 28 million Americans suffer from migraines. More women than men get migraines and a 1/4 of all women with migraines suffer four or more attacks a month. Although most scientists still don’t quite understand exactly why migraines occur, they have been able to pin down some common causes (1). Several studies suggest that people who get migraines may reduce how often they get migraines and how long the migraines last by taking riboflavin (vitamin B2). One double-blind, placebo-controlled study showed that taking 400 mg of riboflavin a day cut the number of migraine attacks in half. 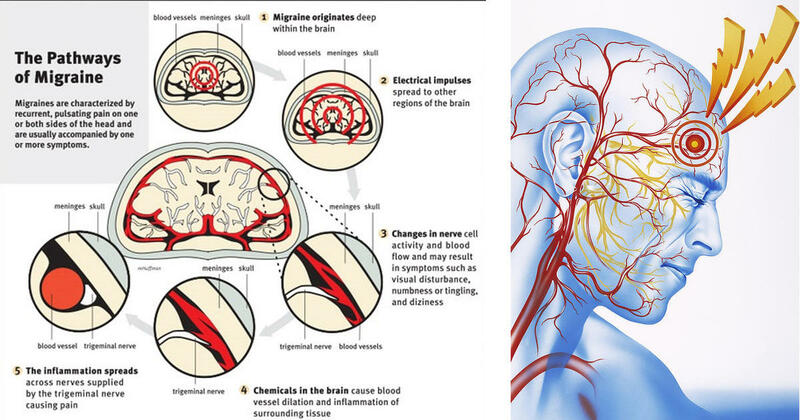 The researchers suggest that, because of the low number of side-effects and its potential efficacy and low cost, riboflavin is a feasible option for migraine(2). 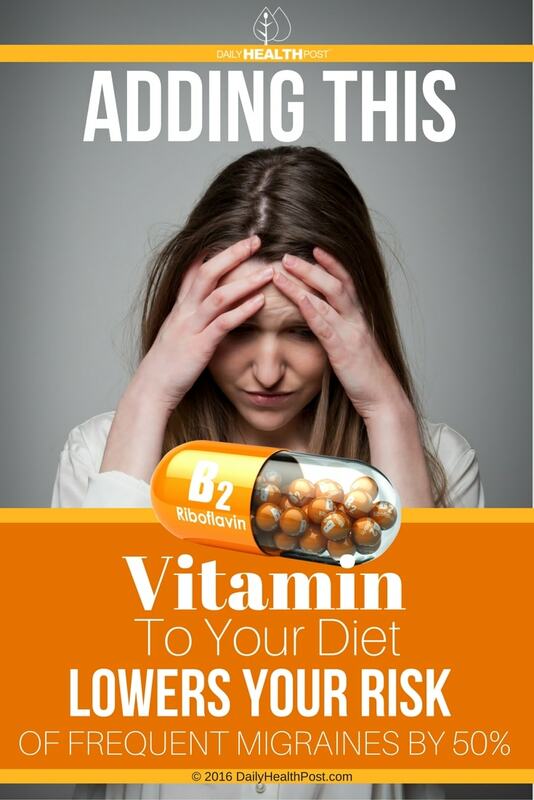 Because riboflavin, the water-soluble vitamin B2, improves energy metabolism in the body, it is thought to increase the mitochondrial energy efficiency in an individual who has migraine. In short, riboflavin helps improve the way oxygen is metabolized in the brain to prevent migraines. Professor Lyn Griffiths of Griffith Health Institute’s Genomics Research Center found that 20% of migraine sufferers carry a specific genetic mutation. This gene mutation increases levels of homocysteine production, which can make you more prone to migraine attacks. It was discovered that vitamins B6 and B12 reduce homocysteine levels. In addition, researchers found that depending on your genotype, one may need a higher or lower dose in order for it to work. A deficiency in Vitamin B2, Vitamin B6, or Vitamin B12 are most likely to cause a headache. In addition, your migraines can also be a symptom of Vitamin D, Magnesium or CoQ10 deficiency. You can help relieve the pain of a migraine by drinking cold water, taking deep breaths and inhaling lavender. You can also try to relieve pressure by massaging your head where you’re experiencing tension. You can also try to stimulate the nerve just under your eyebrow, which usually causes the body to release painkilling endorphins.